St. Petersburg is becoming the place to be for craft beer drinkers. Not only are there some long-time quality breweries there, but a big crop of new breweries have just shot up. Literally two blocks from 3 Daughters Brewing (literally, I walked one block north, then one block west) is Pinellas Ale Works. 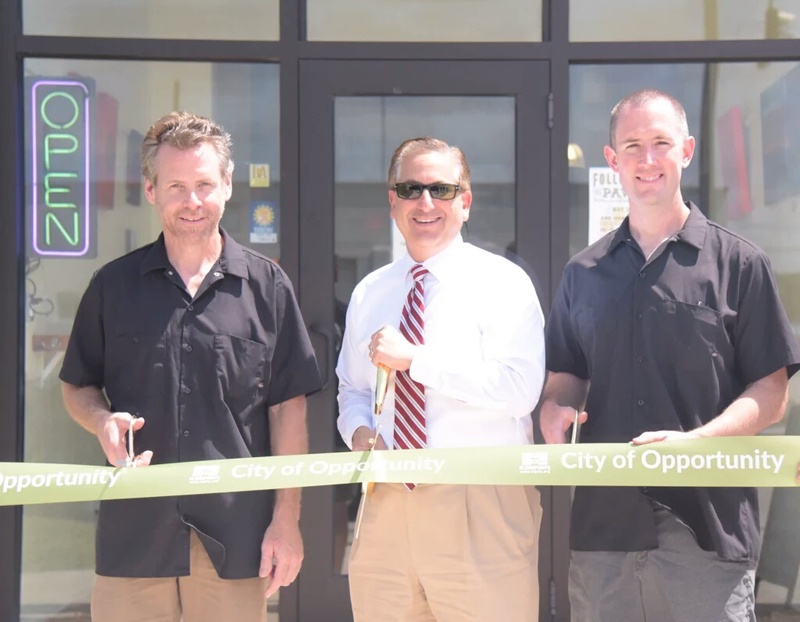 They’ve been doing some pre-opening sales recently, and this weekend held their big opening weekend bash, including a ribbon cutting ceremony with St. Pete Mayor Rick Kriseman. Their big theme is their love of dogs (No small coincidence their acronym is PAW). 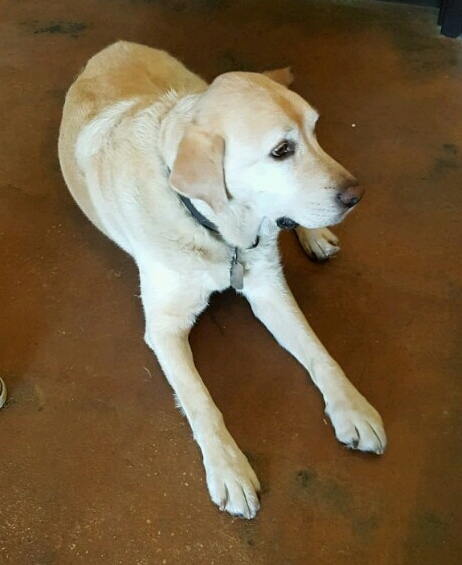 Almost all of their beers have a dog-themed name, there are dog treats on all of the tables and water bowls on the floors, and their ‘host’ is a gorgeous and incredibly friendly golden lab by the name of Jim. 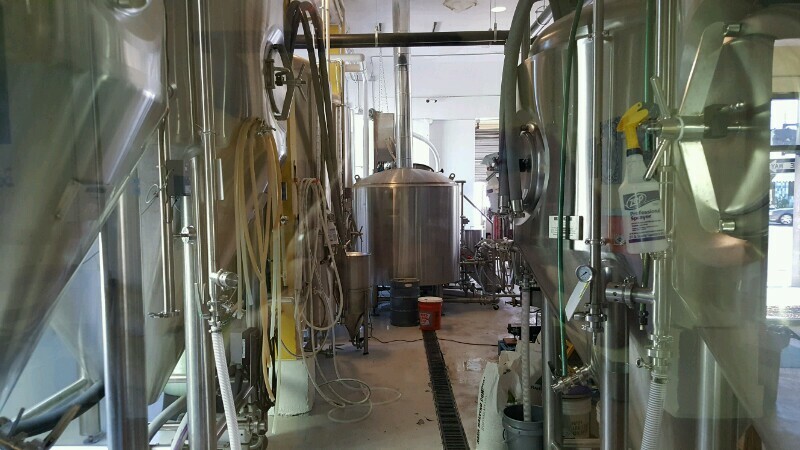 Jim’s owner is Dennis Decker who, along with Matthew Brown, own PAW and brew their recipes on a gorgeous new 15-BBL system. I spoke with Dennis a bit, and he showed me a few interesting things of note. One thing that may look a little out of place is the car hood on the wall above the large picture window that overlooks the brewing system. 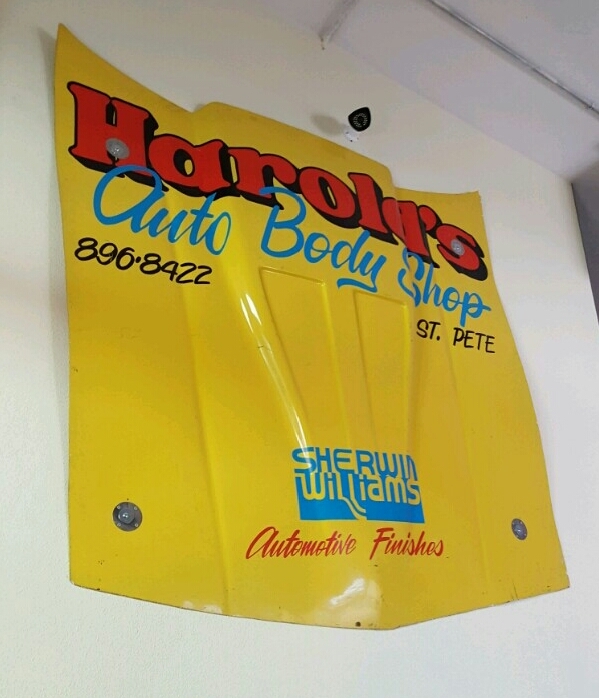 That car hood is from Harold’s Auto Body Shop, the auto shop that used to be in the building that PAW currently occupies. It’s also the inspiration behind Harold’s St. Pete Style Lager, one of their signature beers. I didn’t sample that one, unfortunately. 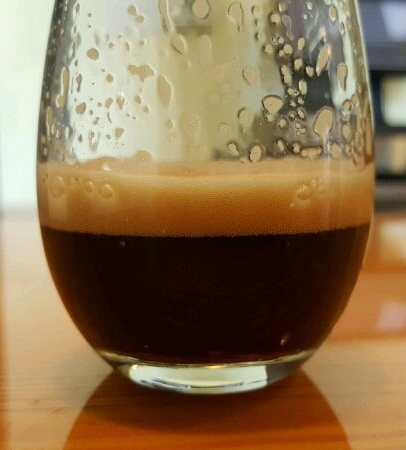 What I did sample, at Dennis’ insistence, was Schwarzhound (Schwarzbier, 5% ABV, 25 IBU). Dennis was proud of this beer, since it was the first beer they worked on and perfected on their system. This is a little odd, since most brewers start on professional systems with an IPA, or a Pilsner, or a wheat beer. Not something dark like this. You can taste the work and the care they put into the beer, though. It’s got a fantastic, clean, dark malt flavor with no harshness or overly hoppy bitterness. It’s also light and immensely drinkable, not heavy or chewy. Very flavorful, very approachable, and quite good indeed. 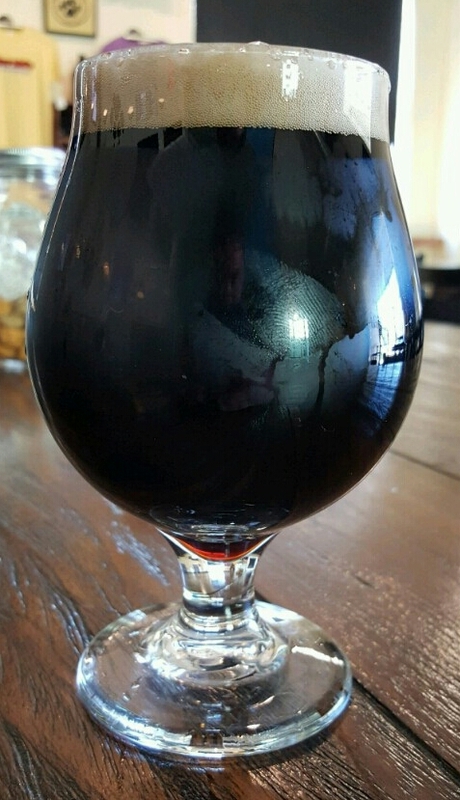 I was, both at the time of my visit and right now, on a big milk stout kick, so I definitely had to try their Milk Bone (Sweet Stout, 5% ABV, 25 IBU) as well. Once again, their expertise with heavy roasted malts shows. It is, once again, nice and light, but the lactose sweetness was perfectly balanced with a roasted malt bill that featured delectable hints of cocoa and coffee. Lot hops, and a yeast that provided just a bit of heady goodness and a light, light carbing. 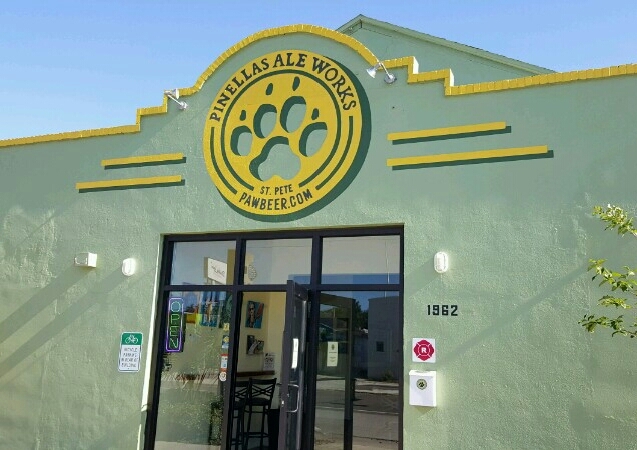 Pinellas Ale Works is a good, quality brewery with an impressive lineup of their own beers that i really wanted to try more of. And I should have, but i was on kind of a short timetable, unfortunately. 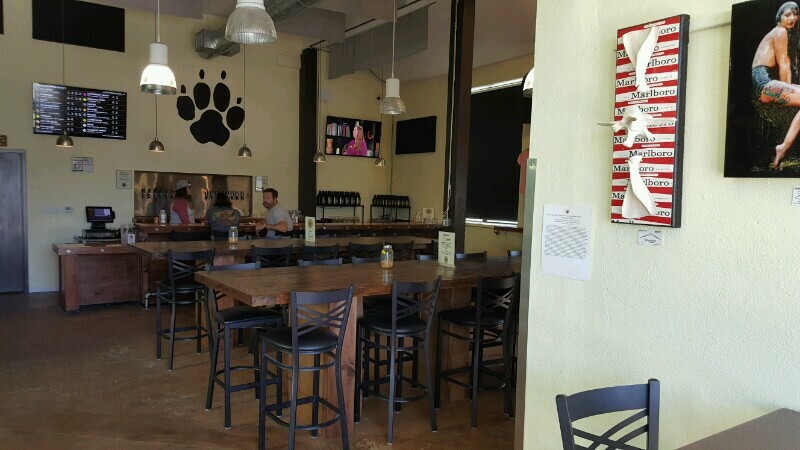 But please, go and see how this brand new Pinellas County brewery is doing for yourself. And when you go, give Jim a good scrub behind the ears for me.